Concentrated soup base for making flavorful Shoyu Ramen. Made with carefully selected ingredients, including Shoyu and vegetables. 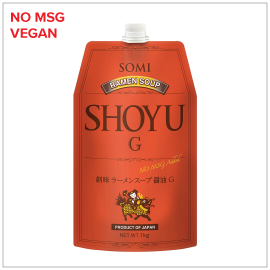 Shoyu G is also great as marinades for pork and chicken.